Top military tech to conquer the tundra. 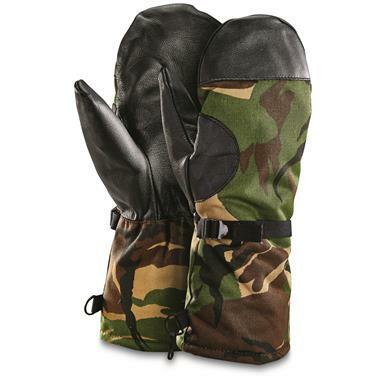 Classic deep-freeze "chopper" Mitts, as used by Dutch military forces. Synthetic fur is super-soft, and helps lock in body heat for stationary stakeouts. 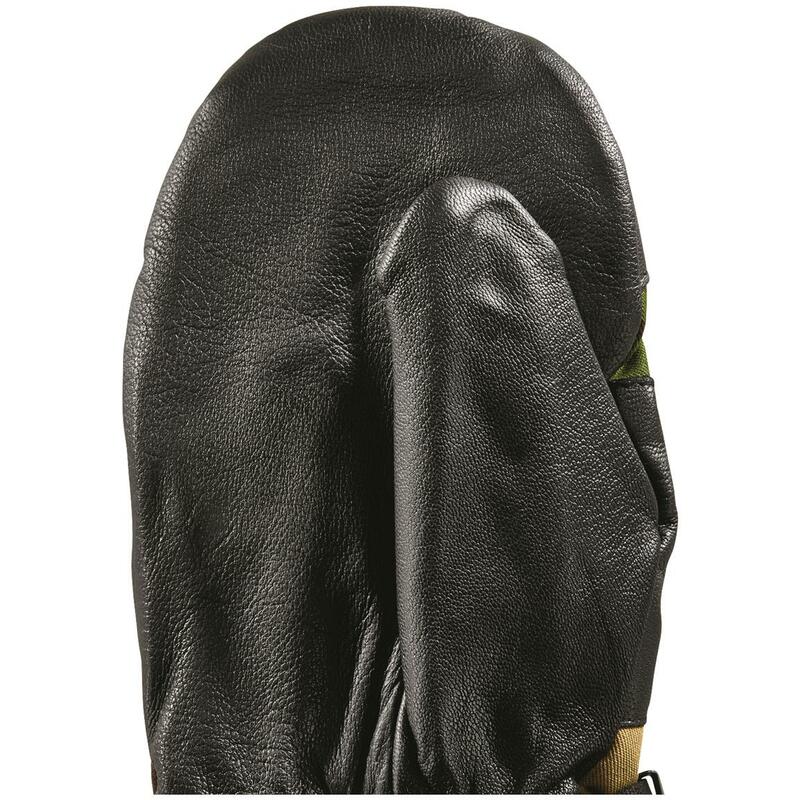 Leather stays flexible in the cold, giving you the dexterity to take your shot when opportunity raises its head. Primo hunting gloves, or to add more happiness to any extreme-weather chore day. 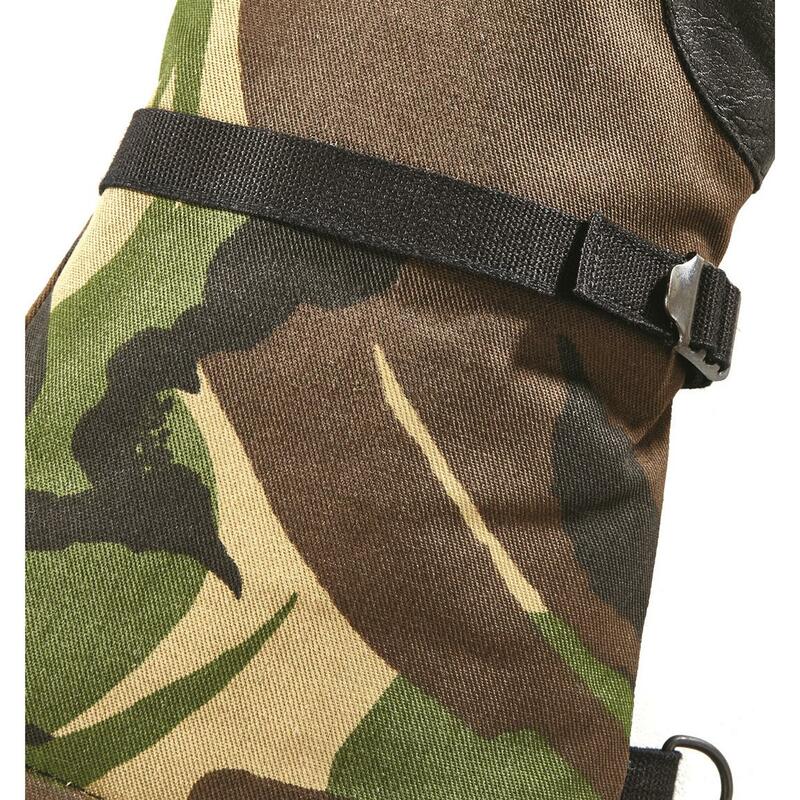 Backed by cool Disruptive Pattern Material (DPM) Camo. You get 2 pairs for 1 low price! 2 pairs for less! Get yours now!